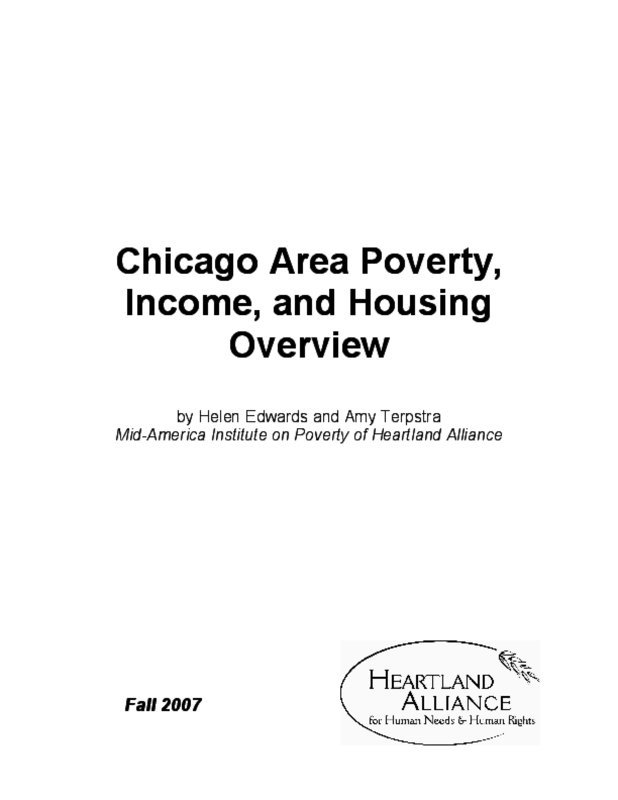 This paper was originally researched for the AIDS Foundation of Chicago for use in their Five-Year Chicago Area HIV/AIDS Housing Plan. Hence, the counties included here are reflective of the counties the AIDS Foundation requested be included in the analysis. Though traditionally included in discussions of the Chicago region, Lake County is not included in this discussion of the Chicago area.